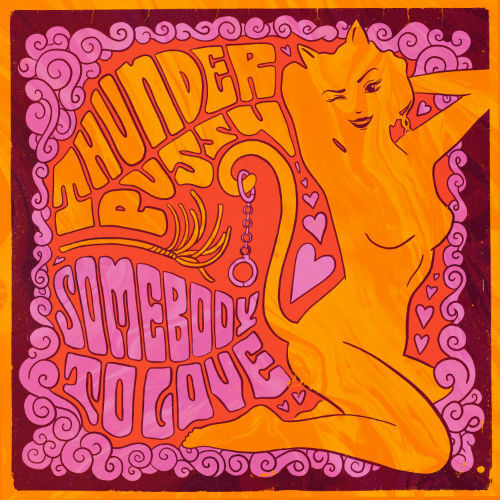 Thunderpussy have shared a rocking version of "Somebody To Love." Listen above on YouTube. On this new recording of the classic tune, Thunderpussy — Seattle rockers with a name that always makes us laugh — put their own twist on the song while remaining true to the vintage mind-melting psychedelic sound. Heavy drums, chugging riffs, muscular bass, and trippy production combine with spot-on vocals, breathing a new life into a song that is over 50-years-old at this point and probably been played billions of times from vinyl to radio, 8-tracks, cassettes, CDs, downloads, and now streaming. You can pick up Thunderpussy's 2018 self-titled debut album on Amazon. The band will head out on tour in July with Black Pistol Fire. For concert tickets and more, check out Thunderpussy's Zumic artist page.